Guys, I have happened upon the coolest fundraising system ever. Every year my kids’ school does this Fall fundraiser where they sell frozen cookie dough and overpriced jewellery and knickknacks. The first few years I felt pressured to take part. Every purchase was a disappointment I felt guilty for having let my kids hand these catalogues over to their gullible grandparents. The past two years I’ve skipped out on the school fundraisers. And I’ve felt guilty for not taking part because I know that the school NEEDS the extra money. I feel guilty if I take part, I feel guilty if I abstain. Damned if you do, damned if you don’t. Argh. So basically, I’d lost hope when it comes to fundraising. Until I had a press release land in my inbox, talking about what I seriously think is the most brilliant fundraising system ever — FundScrip. It was an epiphany moment. A choir of angels singing, light breaking through the clouds, “Oh My Goodness Where Have You Been All My Life” moment, because this beats out selling cookie dough and cheap necklaces by, roughly speaking, two thousand times. This gist of it is, you buy gift cards for popular retailers and your kids’ school, or sports team, or whatever group you want to support, gets a donation. Let’s say you buy a $100 Metro giftcard. It doesn’t cost you anything extra. You pay $100 and you get the full value of the gift card… and then the group you are supporting gets a 3% donation – a.k.a $3. The donation amount varies from 2% to 10%, based on where you are buying a gift card for. 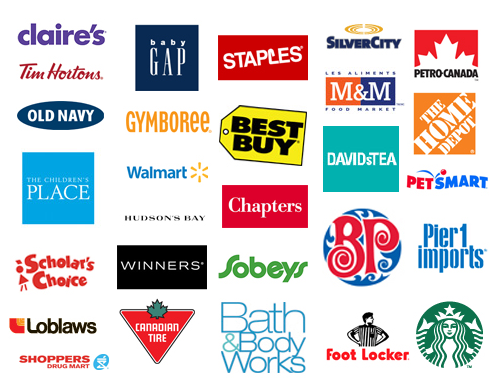 There are over 200 retailers taking part in the program — Amazon.ca, Roots, Chapters, Old Navy, Best Buy, Staples, Shell, Zehrs, Esso, and so many more. Take a peek here for a full list: http://www.fundscrip.com/retailers. I know, raising a 3$ donation doesn’t sound like much. But here’s the beauty of it, you can buy giftcards for every day things that you would already be spending money on, like gas and groceries, and earn money for your group with your day to day shopping. I could see those donation dollars adding up pretty fast — all you have to do is use gift cards when you shop instead of other payment methods. This just scratches the surface, there are so many MORE Canadian retailers taking part in this cool fundraising program. Since it launched back in 2004, FundScrip has helped groups across Canada raise more than 18 million. Now I just need to get to work, convincing my children’s school to swap to FundScrip for their next fundraiser. Fingers crossed. What about you folks? Have any of you had a chance to use FundScrip to help fundraise for your school or sports team? Are you thinking of trying it out? It’s free to sign up and try this fun and novel fundraising program. Check out their website for more info. The Fundscrip giveaway is now closed. The winner of the $100 giftcard was Maria M. of Milton, Ontario. Disclosure: This post is sponsored by FundScrip. They are also providing the giveaway prize. As always my words and opinions are my very own. I think it would be a good fundraiser for our grandsons hockey team . I would choose a Canadian tire card. I would like to raise money for my disease Spinal Muscular Atrophy. All the breakthroughs coming about cost billions. If I won, I’d choose Home Depot. Fundscrip sounds like a great way to raise money for my oldest son’s grad activities. The cost is so high but I think they could really bring it down by working with this company. I thin I would choose the Walmart gift card but there’s so many awesome ones! I would raise money for the Canucks Place Children Hospice. It helped my best friend and her family so much when their little one was going through a tough time. I’d love to support them so that they can continue doing an excellent job providing pediatric palliative care and family support. If I won, I’d choose the Real Canadian Superstore gift card. It would feel good to fundraise for autism as my son is non-verbal on the spectrum. I would choose a Walmart gift card from Fundscrip. In a perfect world I would pick the Indigo gift card and buy books for me, but likely I would pick a Loblaws one. I would use Fundscript for my children’s school. I would raise money for our local Ronald McDonald house. I forgot to say: I would choose The Keg, it would be a treat! I’d raise money for my local cat rescue. I’d choose an amazon.ca gift card. Wow, this is amazing. We WILL be raising money for my son & daughter’s school Ecole des Sentiers Alpins now that we know about this. Thank you for sharing this information. I would choose the Real Canadian Wholesale club card. This is a great idea! I would fundraise for my son’s school band program, which they had to cut because of the school board budgets. I would pick a petro-canada giftcard. I would fundraise for my daughter’s school and especially her class which is a specialized developmental one. They have the best teacher. I would pick a Staples gift card since my office chair is literally falling apart as i sit on it! I would raise money for my daughters’ school, or my older daughter’s basketball team, with FundScrip. I would choose a Winners gift card if I won. I would raise money for the Polynesian Dance School that my daughter belongs to. They in fact are about to fund raise using this method. I would be interested in buying gift cards for our local grocery store. I recently joined the parent council at my daughter’s school and they are always looking for new fundraising ideas. If I won I would choose a Superstore gift card since that would be a big help for my budget. Thanks for the chance to win! This is such a good idea and I much prefer this over buying stuff that I don’t really want, I have grandkids in many programs that I would support! I would choose the Superstore gift card. I would raise money for the Army Cadet Corps that my sons are in. I’d pick the Amazon.ca gift card. This sounds like a way better way to fundraise, I would fundraise for the expansion of our medical center! I would choose an Amazon or Walmart gift card! I would raise money for my late son’s school. The school is for handicap children. I would raise money for Diabetes Canada.The gift card I would choose would be The Keg. I would like to raise money for our local humane society. I would choose an Amazon gift card. I would fundraise for the animal rescue I’ve been volunteering for for over 20 years. I would choose the Superstore gift card. I would fundraise for Callie’s school! This is her first year of school and I’d love to raise money for more in-school supplies to help teachers not have to spend money out of their own pockets, to supply the additional arts and craft supplies that are no longer accounted for in the school board’s budget! I would choose a Walmart gift card as it always has arts and craft supplies that would be very useful in a classroom! i would love to talk to my kids school about using this! Great idea! I would fundraise for our local animal shelter. I’d pick the Amazon gift card. I’d like to see my daughter’s school use this for fundraising. Will definitely be bringing it to their attention. If I won I would probably choose the Chapter’s gift card. I would love a zehrs gift card. I would use this program to raise funds for my son & daughters hockey rep teams. We are always trying to fundraise monies so that they can enter tournaments (so expensive).. I would definitely choose the Tim’s, Chapters and the Gas cards. The groceries are great too.. Who doesn’t need groceries. I would pass this information on to my daughter who works at a school to raise money for the playground that is needed. I would choose M&M for my GC. I would raise money for the children’s wish foundation. I would pick a Sobeys card. My chorus used a similar fundraising company to raise money for trips/contest. I’ll definitely recommend Fundscrip – because I think the company we used has disappeared ;0 If I win I’ll go for a Homesense card. I think raising money for the Humane Society would be great and I would go with a Canadian Tire Gift Card. I would fundraise for my Children’s school expansion – they need the space!! I would pick the amazon card if I won. I would raise money for Parkinson’s Canada and I think I would choose a gift card from Loblaws or Winners. Raise money for my sons school and I’d pick the Starbucks card. i will fundraise for my kids school, i can’t decide with retailer, so many options! maybe indigo? So many gift card sponsors!! I think I might go for indigo (5%) and I its for the Karate club in our town for fund raising although the skating club might be interested as well!! I’m actually going to be fundraising soon for my daughter’s class trip to Quebec so I will look into this. I would choose Walmart for the gift card. I would raise money for my sons beavers. I would choose a grocery gift card. Thanks! I raise money through FundScrip already for Ontario Parents Advocating for Children with Cancer (OPACC)! I would choose a Winner’s gift card if I won. I would raise money for the Breakfast Club program at our local school. I would love to have the Walmart gift card. I would raise funds for our local school’s breakfast program. I would choose a grocery card. I would much prefer to use this kind of fundraiser the next time our son needs to raise money for school trips. These would be much more useful! I would choose Amazon or maybe Starbucks for a treat to myself. I would raise money for our local Freedom Outreach program. I would love a gift card for wither Shoppers or Walmart. My grandchildren are always raising money for their schools and dancing. I have told my daughter about Fundscrip. If I won I would choose No Frills. This would be a great way to raise funds for my kiddo’s Beaver group. I would pick a chapter’s card. I have a slight book addiction. I would love to raise funds for our local SOS Christmas Program. It is a fabulous program that supplies low income families with Christmas presents for the children, frozen turkeys and food gift certificates. Opps…I would get a Shoppers Drug mart gift certificate. I would raise money for the food bank. I would pick the Sobeys gift card. I would raise money for my kids private school. I’d choose a Mark’s gift card. I would raise money for Second chance animal rescue and a Wal Mart card. I’d choose Canadian Tire, and would raise money for my daughter’s school. I would help raise money for Neuroblastoma research at Sick Children’s Hospital in Toronto through The Fighting 4 Liam Brigade (The James Fund). I would choose the Walmart Gift Card. I would raise money for the Ronald McDonald house, and would choose a Canadian Tire Gift Card! I would raise money for the childrens hospital and would love the shoppers giftcard! I would raise money for the children’s hospital. I would choose a Roots gift card! I would raise money for the Children’s Hospital. The card I would really enjoy would be for Mark’s. like to raise money for my disease Spinal Muscular Atrophy and a card for Amazon. I would raise money for my daughter’s school. I would get an Amazon GC. We may use Fundscrip for our school PAC. I would select a Tim Horton’s gift card. I would raise money for a local non profit daycare I have been involved with. And I would probably want a Walmart gc. I’d like to raise money for an elementary school. I would choose a Winners gift card. I would fundraise for the drop in centre in my city. I would choose a Walmart gift card. I would like to raise money for a local animal rescue and I would choose a Real Canadian Superstore gift card. I’d fund raise for our school and would probably get Walmart or Winners gc. I think this is a BRILLIANT idea. Would love to suggest it to the PAC at my son’s school. 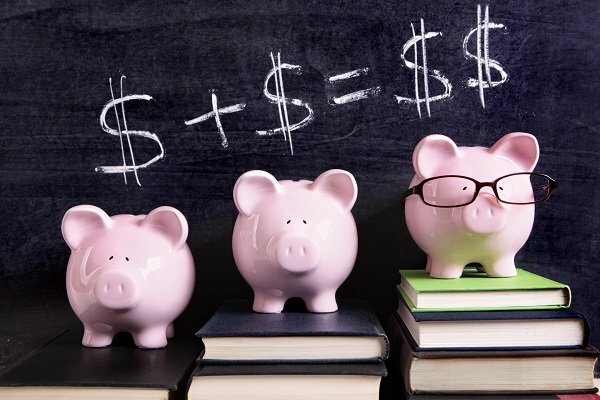 It’s so smart, buy a card to somewhere you regularly shop – and the school gets money! In the end it essentially costs you NOTHING and yet the school benefit from it. Just so smart! I would get Best Buy – with the holidays coming up and everything! I would raise money for Cystic Fibrosis, and I really dont know what gift card I would choose. There isn’t a bad choice but maybe Canadian Tire. I would like to raise money for my Local Humane Society. i would raise money to support our local SPCA. I would probably choose a Walmart gift card. I would raise money for my son’s school if they had it. I would probably choose a coffee gift card! Cancer society and I would choose the loblaws or amazon card. I’d love to see my daughter’s school try Fund Scrip again. If I were to win I would take the Indigo gift card! I would raise money for Seeing eye dogs and I would pick Loblaws card. I’d raise money for Harvest House and I’d pick a Loblaws giftcard. I would raise money for my son’s Robotics Team. It costs quite a lot to build a robot and then travel to different competitions all over the province with the kids. They really rely on fundraising. i would choose a Cineplex gift card because our family loves going to the movies. I’d love an Esso gift card to help pay for gas. I’m on my kids school parent involvement association and have suggested this as a potential fundraiser in the past…seems like a no brainer to me! I would choose an amazon card..you can get everything there! I would use it for an art (or music) in school fundraising. I’d choose an Old Navy gift card. I would raise money for my children’s school. I would like a Walmart gift card. Thanks! I would raise money for my local food bank. I would choose a Sobeys gift card. I would raise money for my nieces school with FundScrip. I’d choose a tim hortons gift card if i won. I would raise money for my niece and nephew’s dance trip to nationals and I would like to win a Walmart card. I would use it for raising funds for the Humane Society, I think a card for Sobeys or Walmart would be my choice. I would fund raise so my daughter can go on a Me to WE trip and I”d love a grocery store gift card like FreshCo/Sobeys. I would use Fundscript to raise money for the Charity Food for Thought that feeds hungry school children., and I would choose the Winners gift card. If I won I would choose a Walmart gift card. Thanks for the chance! I would raise money from for the Salvation Army. My gift card choice is Walmart. I would raise money for prostate cancer. and I would choose an Amazon gift card. I would FundScrip our local food bank, and would like a Shoppers gift card. Would raise for my animal shelter. I would like superstore or amazon gift card. I would raise money for the local food bank. I would choose a Chapters gift card. I’d raise money for the White Rock BC superfluity shop…which raises money for the White Rock Hospital. I would love to fundraise money for my local SPCA. I am a animal lover and would love to donate to them. If I won, I think I would pick an amazon.ca gift card – that would be amazing to win 🙂 Thank you so very much for the chance. Youth Emergency Services in Edmonton and I’d use the amazon.ca card. And I’d like the Shoppers Drug Mart gift card. I would raise money for my local community centre and I would choose a Canadian Tire gift card. Thanks! I would choose to raise money for MS because of family members affected. I would choose a Walmart gift card. I would raise money for our local animal rescue society:) What an awesome opportunity!! I would fundraise for my niece’s soccer team; I would love to get the Real Canadian Superstore gift card. Thanks! I would like to fundraise for my daughter’s school. I would choose a gift card for Amazon. I would raise money for my daughters who dance. and for me a gift card to Walmart. I would raise money for my nephew school travels, and I would choose the Loblaws card, thanks! I would raise funds for our local humane society and would probably choose amazon. I’d raise money for the Kidney Foundation. My choice would be the Best Buy gift card. I would raise money for our grandson’s hockey team because they need some new equipment. I would choose the Bath and Body Works gift card so I could stock up on their candles! Thanks for the super giveaway opportunity! I would choose the Amazon gift card and purchase pet supplies for our town animal shelter. I would raise money for the local Down Syndrome Association and I would chose a Canadian Tire gift card. I would support the local hospice and buy a grocery gift card. I’d raise money for my choir. I’d choose a Sobey’s gift card if I won – I can always use groceries. This is a great fundraising idea! A local food bank and Christmas gifts for children at the Legion. I would pick the Winners gift card. I would raise funds for my Church. I would love a Shopper’s Drug Mart gift card! I would raise funds for the school that I teach at. I think our parent community could get behind this fundraiser. I would pick Boston Pizza. My whole family likes eating there. I would fundraise for my niece’s skating group. I would raise funds for my wife’s figure skating club, and I’d buy Canadian Tire gift cards! i would raise money for the cancer society that took my father 9 yrs ago. I would also choose an esso card ! I would raise the money to help our Local School and I would choose a Sobey’s card. I would fundraise for my sister’s children’s schools. If I won, I would like a Superstore gift card. I would raise money for the BC SPCA – I love what they do and they’ve been so helpful when we adopted our peke from them. If I won, I’d choose a Shoppers Drug Mart GC! With FundScrip, I would raise money for the Covenant House here in BC, and the gift card I would choose if I won is a Shoppers gift card. I would raise money for a local school, and i’d like the Loblaws or Bath and Body Works gift card! What a great program! I’ve started to buy more gift cards and will definitely look into this. I would raise money for our local foodbank or humaine society. I’d get a card from Loblaws, Shoppers, Canadian Tire or Chapters. I would raise money for the Canadian Cancer Society. I would pick the Winners gift card. I would raise money for my granddaughters hockey team. I would choose the Shell gift card if I win. I would Fundscript for the local Animal Shelter. I would raise money for my children’s school and I would choose the Giant Tiger gift card if I won! I would Fundscript for the local Animal Shelter.& senior centre. I would raise money for my local food bank, and I would choose a Chapters gift card. I’d fundscipt for local animal shelter and I’d choose giant tiger gc. I would raise money for our local animal shelter and I would pick Loblaws! Thanks! I would raise money for the Shoreham Village Continuing Care Facility where my mom resides. I would choose a gift card for Loblaws. I would fundraise for the animal shelter in our small city and I would choose an Amazon gift card. I would raise money for the Northbrook Food Bank and I would love a Shopper’s Drug Mart card. I’d like to raise money for my local Hospice. I feel like they are a non profit that gets forgotten about but offer an amazing service for those during a very stressful time. If I won I’d pick a Sephora card! Walmart gift card for me. I would raise money for the Diabetes Canada. I would choose a Walmart gift card if I won. I would raise money for the Janeway Children’s Hospital, 3 of my kids spent a lot of time there as infants so it’s a cause near and dear to my heart. If I won I would choose either a gas card or a grocery store card both would come in real handy since my husband is out of work and we are a family of 7. I would raise money for the Canadian Diabetes Association – and I’d love a gift certificate to Amazon! I would raise the local humane society and I would get a walmart gift card. I think I would choose a Chapters gift card! I would fundraise for the diabetes association. A gift card to RCSS would be lovely. cheers! I would fundraise for my son’s hockey team. I would choose Walmart. I would raise money for our school and would choose chapters gift card! I’d raise money for my kids’ school and get a Chapters card. I would raise money for the library. My choice would be a Superstore gift card. It would great for local community groups or sports teams, it’s a great idea! I’d choose Chapters or Winners! This would be great for fundraising for my daughter’s school. I would probably choose a superstore gift card. Thanks! My son was born with spina bifida. I would do it for Cincinnati Children’s Hospital. They took so much time with my son. I would choose the Wal-Mart card. I would gladly raise money for the Meow Foundation and I would love a Walmart card! Thanks! I would love for this for my kids school. And I would choose the Best Buy card. This would be awesome fo rmy sons school or sports teams fundraisers! I would hoose the Shoppers Drug Mart option 🙂 Thank you! I would fundraise for my daughter’s school and would choose a Superstore card if I won. Our kids school and I would pick Loblaws! I would raise money for the local food bank, and I would choose a gift card from amazon.ca! and i think i would choose a Loblaws gift card.